Shawn, I'll give you my Canes, Avs, Stars, Panthers and Preds for your Jets. 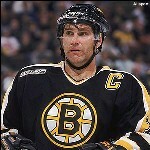 Shawn, I'll even throw the Bruins! Last edited by Eldonko on 2018-Jul-Wed-11-07, edited 1 time in total. I'd like 2 spots in dual break.